• The Ambassador collection of saddles are built on Quick Form saddle trees, allowing the saddle width to be individually tailored. • All Ambassador saddles come standard with a medium/wide gullet and are adjusted to suit your horse as needed. The Quick Form saddle trees use a gullet heat change system which we are able to perform at STC on your behalf at no extra charge. • The Ambassador saddles have wool flock panels which are designed in a pocket composed of an outer layer of latex and then felt, which provides an even contact with the horse's back. 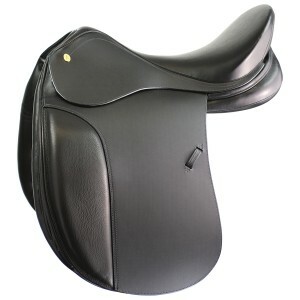 Once you have bought a saddle we will contact you to confirm the size you want. Shipping terms: Items will usually be shipped within 7 days subject to availability in our warehouse.